There are more Twilight movies coming soon! Well, sort of -- at least five short Twilight films will land on Facebook soon. Twilight Forever: The Complete Saga has arrived and there could be no better gift for Twilight fans this holiday season. The 10-disc Blu-Ray and 12-disc DVD set features hours of never-before-seen Twilight Saga footage, interviews and photos. Twilight Forever Blu-Ray Box Set Trailer: Bella & Edward 4Ever! The Twilight Forever Blu-Ray box set gets a trailer. 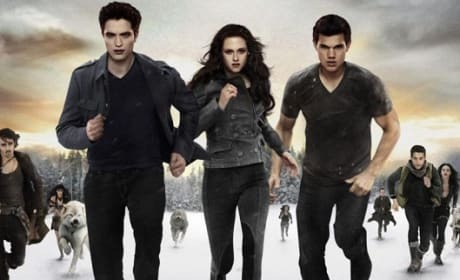 The Twilight Forever Blu-Ray trailer teases the 10 disc set and the photo album featuring shots never before seen. Twilight Forever DVD: Complete Series Five-Disc Set Coming Soon! Twilight Forever features all five movies in one box set. The entire Twilight Saga will hit stores as a 10-disc Blu-Ray set and a 12-disc DVD set. 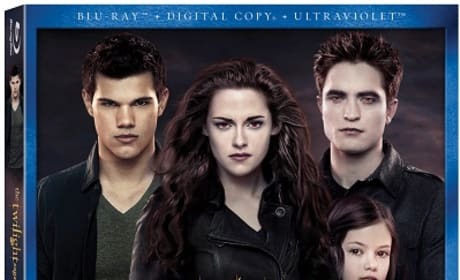 Breaking Dawn Part 2 has landed on DVD and Blu-Ray and it is packed with stellar extras. The final chapter of the Twilight Saga starring Kristen Stewart and Robert Pattinson has arrived on home video. Breaking Dawn Part 2 received the Razzie for Worst Movie of 2012 on Saturday. Check out all the "winners" of the anti-award. The Breaking Dawn Part 2 Blu-ray is available for pre-order beginning today! 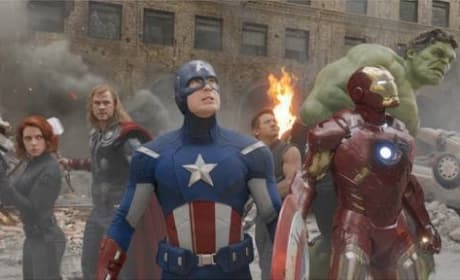 The DVD will come out, along with the Part 1 extended edition, on March 2. 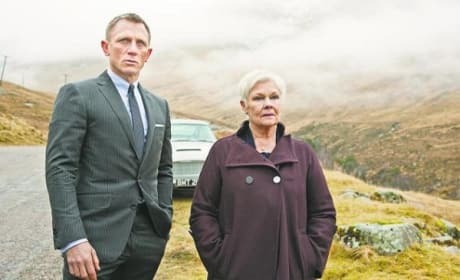 After three weeks of succumbing to Breaking Dawn Part 2, Skyfall is back on top this weekend. Check out the full weekend box office report. Breaking Dawn Part 2 has remained on top for the third straight weekend. Check out the full box office report. Breaking Dawn Part 2 took the box office for the second straight weekend. 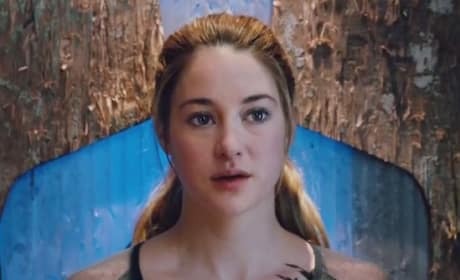 Check out the full five-day holiday weekend box-office report.